When it comes to how to organically grow your Instagram, there’s a lot of bad advice out there. Nowadays, the term “influencer” is subjective at best; phony at worst. If you want to stick out from the crowd and actually have influence over the niche you’re occupying, there are some things you simply need to do well. As Instagram continues to blow up—second only behind Facebook and rapidly growing—you can expect more and more people to be occupying the platform hoping to build their accounts up. The keys to seeing your number of followers grow and your account flourish are time-tested and take effort and patience. But in the end, your hard work will pay off. And all the guys and gals that didn’t put in the work will disappear. Whether you hope to grow your blog, build a business, or build a personal brand on Instagram, organic growth will help you accomplish your goals. Here’s how to add followers that like your content on Instagram. Buying followers is a trap. There exists many different services and software that advertise their ability to give you 1,000, 10,000 or even more followers in ‘X’ amount of time. You pay a flat rate each month (or per subscriber) and their bots do the rest of the work. Sounds great? Yeah, it would be, if it worked. A while ago, these bots did work. Now, thanks to Instagram’s algorithms and security operations, they have weeded out most of them. This is good news for your future growth because you won’t have to compete with automated robots. What’s left among the sea of follow-buying software are services that get click-bait and fake accounts to follow you. Sure, you might get 10,000 followers, but none of them are going to buy anything. We’ve all come across someone like this. They have 10k followers and get less than 100 likes on a post. It diminishes credibility and exposes you as a phony. Our advice: don’t do it. There’s a better way. Did you know Instagram has the highest engagement rate of all social media platforms? Their easy-to-use, right-in-your-face format allows you to easily tell people what you think of their content. This means it’s the easiest platform for you to connect with your followers. Whether your goal is to grow a business, build a brand, or do something else with your new followers, you need to post consistently. One post per day is probably best unless your content is only produced once a week or less. The key is being consistent and aligned with what you provide as an influencer. The best times to post on Instagram are at 11 am, 3 pm, and 4 pm during Wednesday and Thursday of each week. Take this into account when posting, but at the end of the day, it’s about making a good post each day. If you want to grow your followers, you’ll want to give people a call to action on each of your posts. Just engaging with posts leaves something to be desired when someone clicks on a page. By getting them to your website—or whatever link you’ve posted in your bio—you can encourage them to learn more about you and your platform. This is how you build long-term fans. 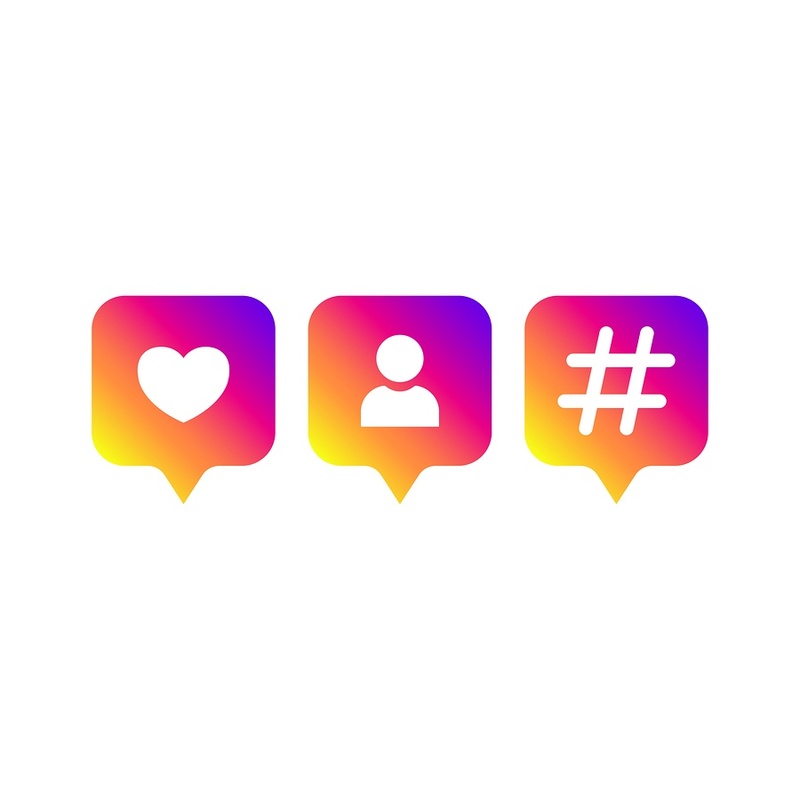 Not only will follow up help you gain traction for future Instagram posts, but Instagram is also more likely to showcase your stuff if they see people engaging with it for a long time (and on a consistent basis). Yes, Instagram is a killer for growing your platform. But you should be on other social media platforms, too. And most importantly if you want to grow your number of followers, you should be promoting your Instagram there. The biggest platform to cross-promote on is Facebook. Obviously, because Facebook owns both companies they make it as easy as possible for you to cross-promote and engage in both places. But more people have Facebook than Instagram, so you may be able to bring an entirely different group of followers into the fold simply by posting your content on FB. You’ll live and die growing your traffic organically by knowing your hashtags. This is the key to getting Instagram followers without following other people. Know the relevant search words for your page and be active on them, tagging your work in them, and finding ways to get people already posting or engaging with that content to your page. This will take research and a little experimentation on your part. It will be time well spent when you start to find even a few hashtags that you can rely on to find new followers. Ultimately, you’re not going to grow your page if people don’t like the content you’re posting. If it’s not valuable and not aligned with who you are or what you represent, people aren’t going to share it or engage. This is an important step that shouldn’t be overlooked. Being yourself—no matter what your reasoning for growing an Instagram account in the first place is—should be a major part of any plan you make to add followers. The key on how to organically grow your Instagram is to be consistent, do your research, and be on other platforms that will make it easy for people to find and engage with your work. And at the end of the day, you want your posts to be valuable, fun, and worthy of engaging with. Check out our blog to learn more about growing your Instagram and building an online platform.